Lt. Gen. R. Scott Williams is Commander, 1 AF (Air Forces Northern) and Commander, Continental U.S. North American Aerospace Defense Command Region, Tyndall Air Force Base, Florida. As the Combined Force Air Component Commander for North American Aerospace Defense Command and the Joint Force Air Component Commander for U.S. Northern Command, Gen. Williams oversees three distinct missions: homeland air defense for the continental United States, aerial support of civil authorities, and theater security cooperation for North America. Additionally, 1 AF ensures the operational readiness of assigned, aligned or gained forces for homeland defense, defense support for civil authorities and world-wide AEF missions. Prior to assuming his current assignment, General Williams was the Chief, Office of Military Cooperation, U.S. Embassy, Kuwait. Gen. Williams received his commission in 1984 after graduating from the Georgia Institute of Technology. He has served as an instructor pilot and has extensive command experience. His previous commands include Commander, 169th Operations Group and Commander, 169th Fighter Wing at McEntire Joint National Guard Base, South Carolina, as well as Commander, Air National Guard Readiness Center, Joint Base Andrews, Maryland. Gen. Williams is a graduate of the National Defense University and has multiple Air Staff tours assigned while on active duty and in the Air National Guard. 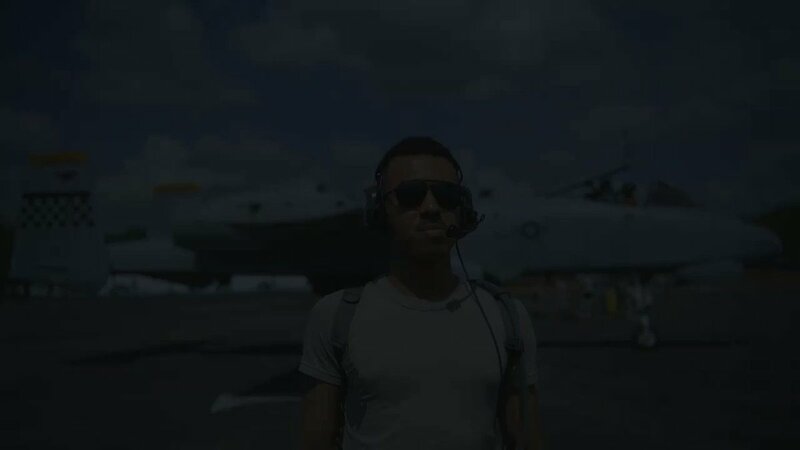 A command pilot with more than 3,900 flying hours, he’s also flown 300 combat hours in operations Provide Comfort, Deny Flight, Southern Watch, and Iraqi Freedom. He was a participating commander in numerous coalition-partner exercises. 1997 Master of Science in Aeronautical Science Technology, Embry-Riddle Aeronautical University, Fla.
2006 Master of Arts in National Resource Strategy, Industrial College of the Armed Forces, National Defense University, Fort Lesley J. McNair, Washington, D.C.
2012 CAPSTONE National Defense University, Fort Lesley J. McNair, Washington, D.C.
2012 Joint Task Force Commander's Course, U.S. Northern Command, Colorado Springs, Colo.
2012 National Security Studies Management Course, Syracuse University, Syracuse, N.Y.
2012 Air Force Smart Operations for the 21st Century (AFSO21), Rosslyn, Va.
2013 Harvard US-Russia Security Program, Washington, D.C.
2014 Joint Military Attaché School, Joint Base Anacostia Bolling, Washington, D.C.
2015 Joint Force Air Component Commander Course, Maxwell AFB, Ala.
2016 Pinnacle Course, National Defense University, Fort Lesley J. McNair, Washington D.C.
1. March 1985 - March 1986, Student Pilot, Columbus AFB, Miss. 2. March 1986 - August 1988, T-38 Instructor Pilot, Columbus AFB, Miss. 3. August 1988 - October 1990, Instructor Pilot, later, Flight Evaluator, Randolph AFB, Tex. 4. October 1990 - December 1990, Student, Fighter Lead-in Training, Holloman AFB, N.M.
5. December 1990 - Aug 1991, Student, F-16 Replacement Training Unit, MacDill AFB, Fla.
8. November 1996 - January 1998, Branch Chief, Chief of Staff of the Air Force Briefing Team, Directorate of Operations and Training, Air and Space Operations, Pentagon, Washington D.C.
9. January 1998 - October 1999, F-16 Program Element Monitor, later, Fighter Branch Chief, Directorate of Operational Requirements, Air and Space Operations, Pentagon, Washington D.C.
10. October 1999 - October 2000, Chief, F-16 Branch, Acquisitions Directorate, Air National Guard Readiness Center, Arlington, Va.
11. October 2000 - October 2001, Instructor Pilot, 157th Fighter Squadron, McEntire ANGS, S.C.
12. October 2001 - June 2002, Fighter Training Officer, Operations Directorate, Air National Guard Readiness Center, Arlington, Va.
13. June 2002 - June 2004, Chief, Combat Forces Branch, Plans and Programs Division, Air National Guard Readiness Center, Arlington, Va.
14. June 2004 - June 2005, Chief, Plans and Programs Division, Air National Guard Readiness Center, Arlington, Va.
15. June 2005 - June 2006, Student, National Defense University, Industrial College of the Armed Forces, Fort McNair, Washington D.C.
16. June 2006 - February 2008, Commander, 169th Operations Group, McEntire JNGB, S.C.
17. February 2008 - January 2012, Commander, 169th Fighter Wing, McEntire JNGB, S.C.
18. January 2012 - August 2012, Director, Joint Staff, South Carolina Joint Force Headquarters, South Carolina National Guard, Columbia, S.C.
19. August 2012 - June 2014, Commander, Air National Guard Readiness Center, Joint Base Andrews, Md. 21. July 2016 – present, Commander, 1 AF (Air Force Northern) and Commander, U.S. Continental, U.S. North American Aerospace Defense Command Region, Tyndall Air Force Base, Fla.